Every year, numerous people who usually sent Prof. Plinio a Christmas card had a hopeful expectation. It was to receive sometime later, a reply with another card containing a Christmas message signed by him, filling their souls with joy and hope. 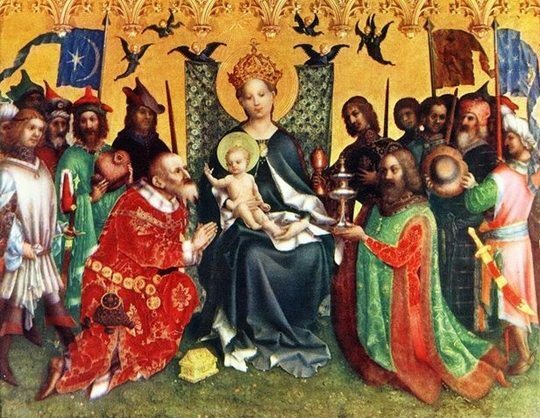 “Adoration of the Magi Kings” by Stephan Lochner (16th century), Colon Cathedral, Germany. Naturally, at this moment men will briefly recall how the world was a thousand years ago, compare then to what it is today, and wonder what it will be like tomorrow… in the year 2100…in the year 3000! It is impossible to orderly encompass the numerous events, ascents, decadences, hopes and apprehensions that such an overall picture brings out. For a man with faith, the outlines of history are traced according to a clear and bright criterion: what has been done with the Catholic Church and Christian civilization in the course of this millennium, of this century, of this year? What will become of both in the future? And similar questions consecutively arise in one’s mind regarding the temporal sphere: what has been done with our country in this half millennium ushered in by the arrival of the ships of the Order of Christ? What has become of our great and beloved country, today wrapped in a nebulous mix of chaos and confusion, progress and scarcity? Both on the sublime Christmas Eve and on the evening of the New Year, full of apprehensions and hopes, let us place all our wishes at the feet of the Child Jesus, Who mercifully smiles under the enraptured gazes of Mary and Joseph. And let us ask them that, by God’s grace, the coming days may see transfiguring regenerations so that general morality, now in catastrophic decay, will be restored under the suave and victorious influence of the Faith. May the Holy Church finally rid Herself of the dramatic crisis it is going through in these days of confusion and distress, and may She be recognized by all nations as the only true Church of the One True God, the inspirer and Mother of all spiritual and temporal benefit. And may She, opening every man’s heart to Her, illuminate with solar splendor all individuals, families, institutions, and nations. These are the wishes that I make on the threshold of this year, which I cordially extend to all who are dear to me and to their respective families. 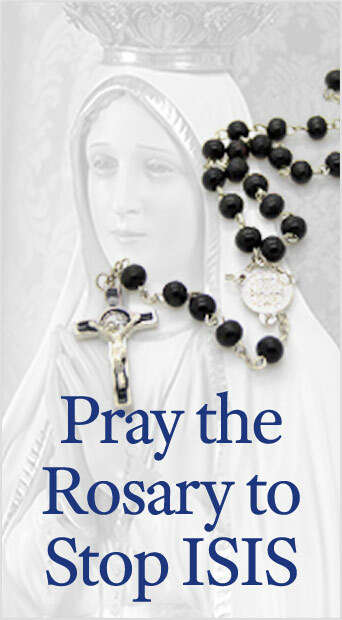 Through the victorious intercession of Mary, we will see our prayers answered. This entry was posted in Plinio Corrêa de Oliveira and tagged card, Catholic, Child, Christ, Christian, Christmas, Church, civilization, Corrêa, crisis, faith, Family, God, grace, holy, hope, individual, institution, Jesus, Joseph, joy, last, leader, Mary, message, Mother, nation, new, Oliveira, Plinio, soul, splendor, The Last Christmas Card, true, year by Plinio Corrêa de Oliveira. Bookmark the permalink.